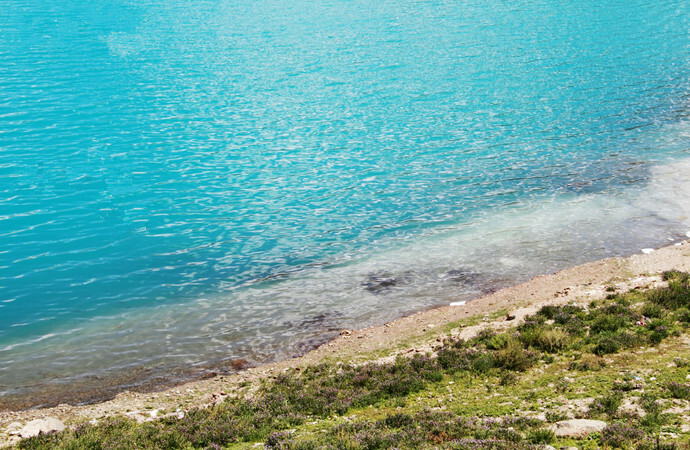 In Tibet, every single lake is sacred for the Tibetan people cause the water means a lot to them. 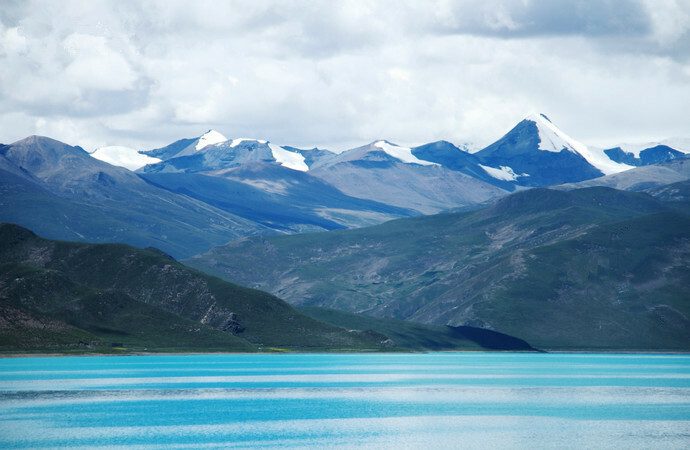 However, the top three holy lakes they honored are Namtso, Manasarovar, and Yamdroktso. We have introduced the first two lakes, today we are going to say the last one. Actually, if you are joining a group Tibet tour, there may not be enough time for you to view Yamdroktso carefully. You may only see it along with the road when driving to Mt. Everest. But is Yamdroktso worth visiting? The answer is definitely yes. I’ll tell you why with my following words. In the Tibetan language, Yamdroktso literally means “the jade pool on the pasture”. But if view the lake from the sky, it looks like a scorpion. Thus, it is also called “the Swan Lake” or “the Coral Lake”. Yamdroktso is located in the Langkazi County of Shannan Prefecture, which is 70 kilometers southwest of Lhasa. 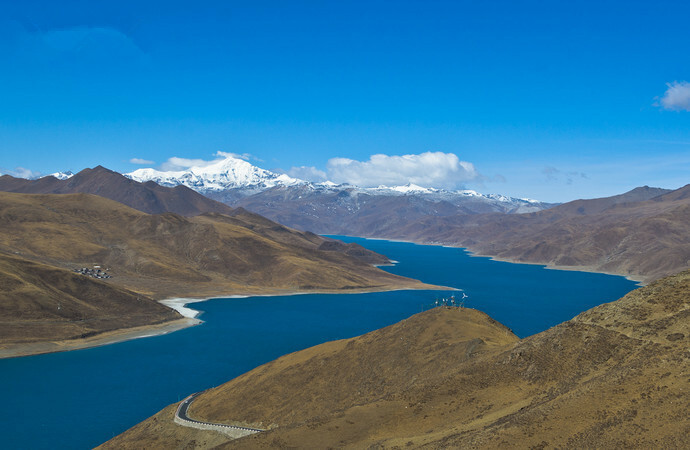 It is the biggest inland lake on the northern side of Himalayas and also the most beautiful lake in the south of Tibet. Yamdroktso covers over 675 square kilometers with an elevation around 4,441 meters. 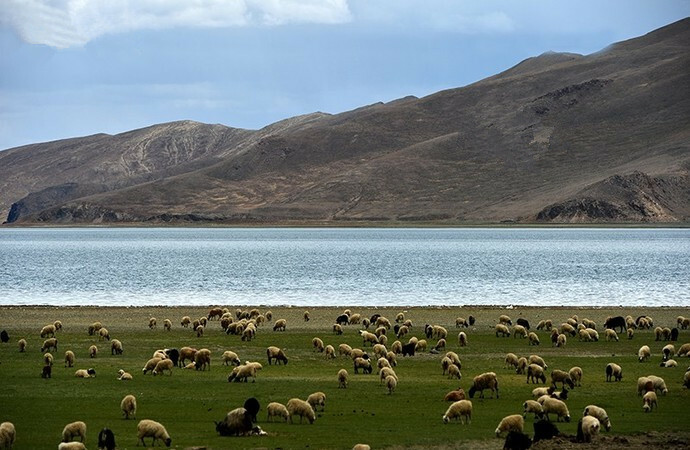 There is a mountain named “Ningjin Kangsha” sitting at the western side of the lake, which is 7206 meters and regarded as one of the four holy mountains in Tibet. The famous Karola Glacier is in the south of the mountain. There are 21 islands distributed around Lake Yamdroktso, on where lives different species of migratory birds. So, this holy lake is a paradise of wild birds as well. The scene of millions of birds flying above the lake is really spectacular. 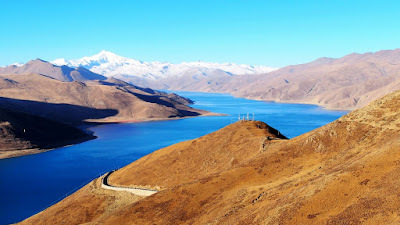 Besides, Yam Lake Power Station, the pumped-storage power station with the highest elevation in the world, is also located near Yamdroktso. Bsam-sdings Monastery, the only monastery managed by the only female living Buddha in Tibet is on the southern side of Yamdroktso. A long time ago, some fairies come to enjoy the happy time on this beautiful land. One of them lost her turquoise earring when they were flying back to the heaven. They searched for a while but could not find it. They had to give up because the door to heaven would close if they could not go back on time. Time passed by, the earring finally turned into a lake which still with a turquoise color. So, the local people gave this lake a name “Yamdroktso” in memory of those pretty fairies. Yamdroktso becomes a holy lake not only because of the stunning scenery. The most important reason is the reborn living Buddha can be found by studying the mirage above the lake. It’s well known that the Buddhism is integrated with the daily life of Tibetan people and formed a unique religion with a mark of Tibet. The living Buddha is one of those feathers of Tibetan Buddhism. The honored monks need to find out the reborn living Buddha after Dalai Lama died. They will set a ceremony at the lakeside, pray for Yamdroktso and throw Hada (a white scarf means best wishes) into the water. The lake is believed to give them a sign and help them trace down the reborn living Buddha. 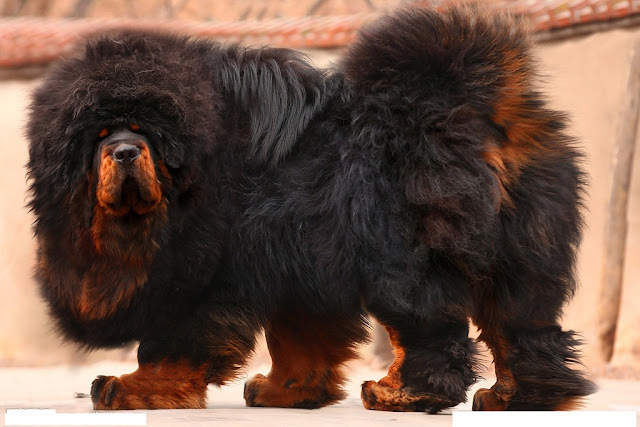 Is there any visitor who wants to travel to Tibet is for seeing the Tibetan Mastiff? I bet the answer is yes, and more than one. But how much do you know about them? Have you heard any of their legend stories? If not, the post is exactly suitable for you. So, let’s start and get close to this mysterious dog. Tibet is known as the roof of the world, also considered one of the most sacred regions with spectacular scenery, time-honored architectures, and mysterious religious culture. Tibet is so great that every year millions of travelers come here for a pilgrimage and visit various tourists attractions. Some of them are really well-known and popular, such as the Potala Palace, Mount Everest, and Yamdroktso Lake, etc. These stunning attractions make travelers really excited to their Tibet tours. Here I would like to introduce top tourists attractions of Tibet to you, which can offer you a bright picture of your Tibet tour. Potala Palace is the world’s highest palace located in Lhasa, the capital of Tibet autonomous region in China. It is not only a sacred Palace but also a majestic museum of Tibetan history, art, and culture. So there is no surprise that Potala Palace is considered the landmark of the Tibet. Many foreigners are interested in a trekking tour to Tibet. Because there are two famous mountains in Tibet that you can trek to. One is Mt. Everest, another is the holy mountain Kailash. However, as the rules change, Everest Trekking Tour is not that possible for a common traveler in nowadays. So, a Kora trekking tour around Mt. Kailash is more and more popular for international guests. Not only for those Buddhist or Hindu devotees, but also for the ordinary public. This post is to help those who are interested in an Mt. Kailash trekking tour make a suitable plan before traveling to Tibet. 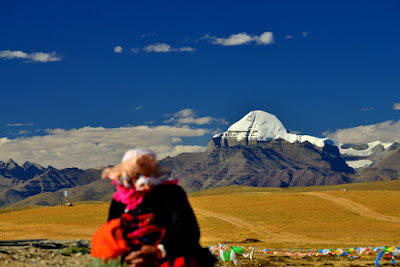 A: What kind of people should avoid a Kailash trekking tour? Q: Visitors with a severe cold, a high fever, acute or chronic pulmonary diseases, severe cardiovascular diseases, women with an advanced pregnancy and children under three years of age should avoid traveling to regions with a high altitude. A: How strenuous are the trekking days? Are there porters for this part of the trip?